The last time I posted about our treatment way back in 2014, we were three weeks in, I was waiting for my next scan and everything else was going ahead as planned. 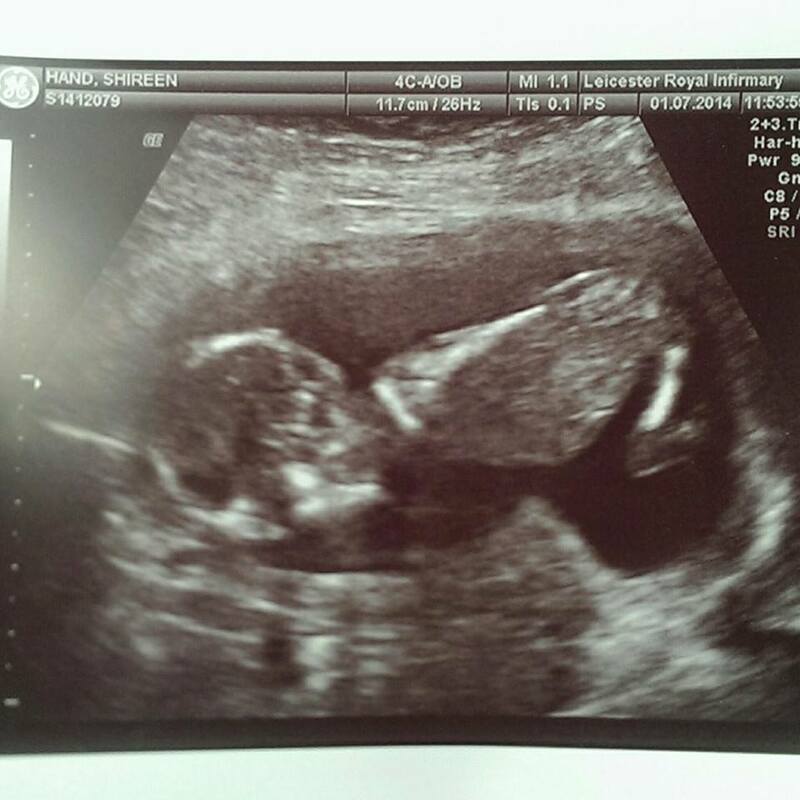 We went in for the scan on Wednesday 2nd April (2014) and it was really positive news! I found out that I had 6 follicles that were perfect size wise (meaning, that they were in double digits, so anything over 10mm in size, each), 4 that were slightly behind (but may be OK in a few days) and a few small ones that wouldn't be used. Because of this, my egg retrieval was moved forward to the Friday and I took my last dose of Menopur that evening. I also had to take my refrigerated drugs at 9:30pm that night and then that was it for the injections. While at the hospital, we also got asked if we wanted to take part in a trial which studies the role of endogenous cannabinoids (chemicals similar to cannabis but produced in the human body) in reproduction. We decided to go ahead and take part in the trial as not only would it help others going through IVF in the future, but also the doctors would be able to look a little more in depth at when would be the best time to transfer our embryos back in to my body. Plus, it only really involved a few extra blood tests! On Friday 4th April we went in for the egg retrieval. 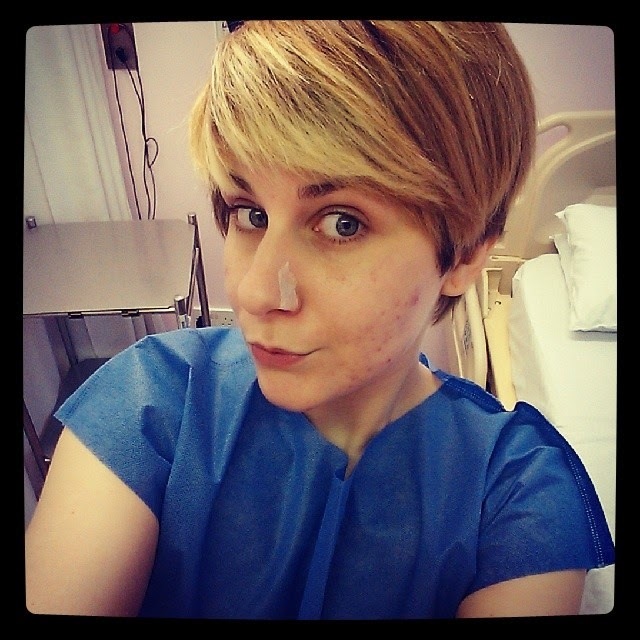 I had a blood test for the trial first of all but then the rest of the morning flew by, and after I'd spent some time taking selfies in my hospital gown (to be fair this one was pretty fashionable as far as hospital gowns go!) and Danny had done his part *cough cough*, I was taken in to theatre and put under general anaesthetic while the doctors fished about inside me for some eggs! The recovery was easy afterwards and while having a delicious cup of hot tea, we were given the news that they had been able to retrieve 10 eggs. We were so happy. I was a little tender afterwards but that soon passed and the next morning we had the call we had been waiting for: 8 out of 10 eggs had fertilised and we had 8 chances left. The embryologists kept in touch with us everyday and on the Sunday they called to say that all of our embryos had developed more but one or two were looking stronger and better than others and some weren't looking very good so they wouldn't be using those. At this point, I was on the borderline for the transfer and so the embryologist wanted to see what the doctor who was running the trial thought and so we went back to the hospital on the Monday for another blood test to see if we would be able to transfer that day or have to wait until day 5, the Wednesday. Unfortunately, after a very long wait, we found out that the blood machine had broken and so we couldn't complete the rest of the trial! 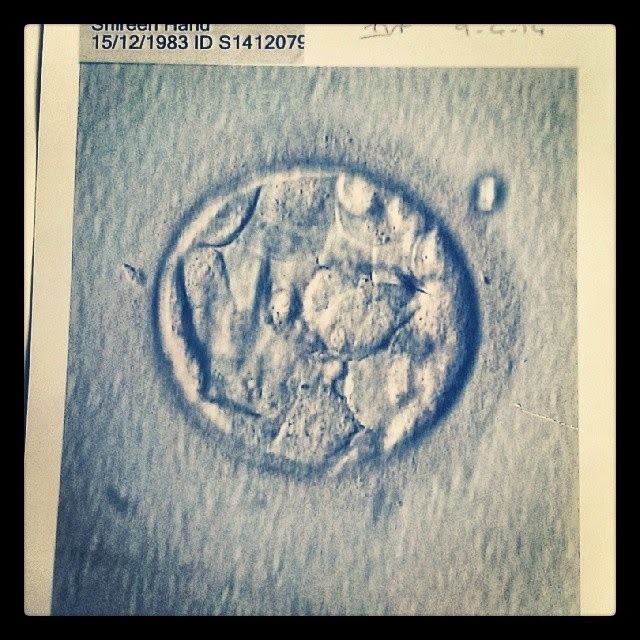 It was a little frustrating but overall a good thing because that meant that the transfer would be on day 5 and by then our embryos would be classed as 'blastocysts' which are more developed and therefore much stronger, more resistant, and, most importantly, more likely to attach. Over the next few days the embryologist kept in touch and let us know that our embryos were developing nicely, and we went back in on Wednesday 9th April for the transfer. Now, I'm not going to beat about the bush... It bloody hurt!! Before the transfer, we met the embryologist and she explained to us that the blastocyst they had chosen to transfer was the strongest and most developed and they were going to keep an eye on the other remaining embryos to see if they could be frozen. I was a nervous wreck and although Danny was in the theatre with me, I couldn't relax enough for them to complete the procedure and they had to fetch my counsellor out of an appointment so she could come in and calm me down with some breathing techniques! 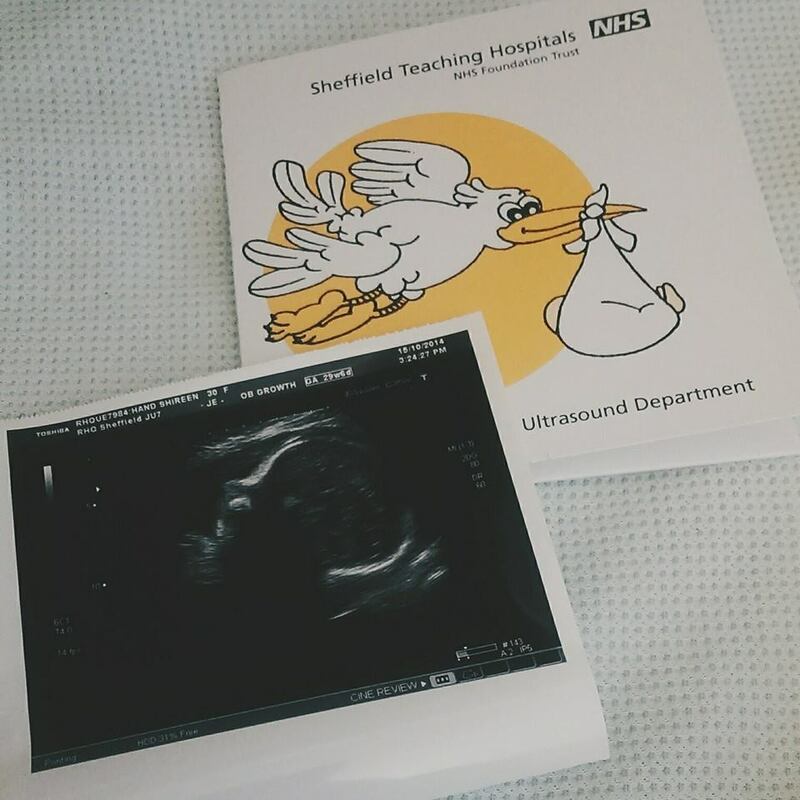 She was absolutely amazing and she held my hand and talked me all the way through it and eventually the doctors managed to pop our one little blastocyst in to my uterus where 'he' would be left to burrow on down in to over the next 9 days. The day after the transfer, we were given some devastating news: none of our other embryos had made it to the freezing process. As the embryologists had been holding out for the blastocyst, the other embryos had suffered and they had blackened and died. We had gone from having 10 chances to everything being put on our little blastocyst surviving. It was a real blow and neither me nor Danny took the news well... Wow! It's tough reliving all this again. That was such a difficult day. We had to pull ourselves together though and concentrate on keeping our tiny little 'Baby Blasto' as safe as could be. I didn't have to bed rest after the transfer but I had to be sensible about what I was doing - nothing strenuous so no shopping, hoovering, lifting or exercise etc. I did some very light housework on one day and definitely felt like I'd over done it so after that I spent most of my time just resting on the sofa. 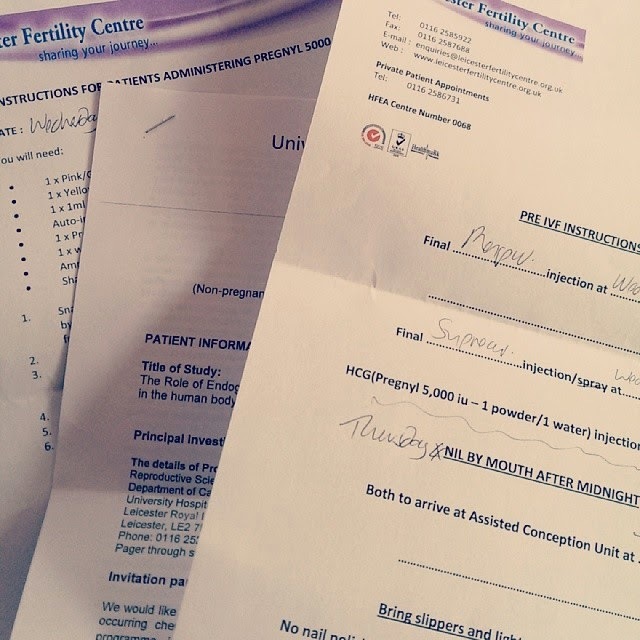 9 days after the transfer, on Friday 18th April, we went back to the Fertility Centre for a pregnancy test. 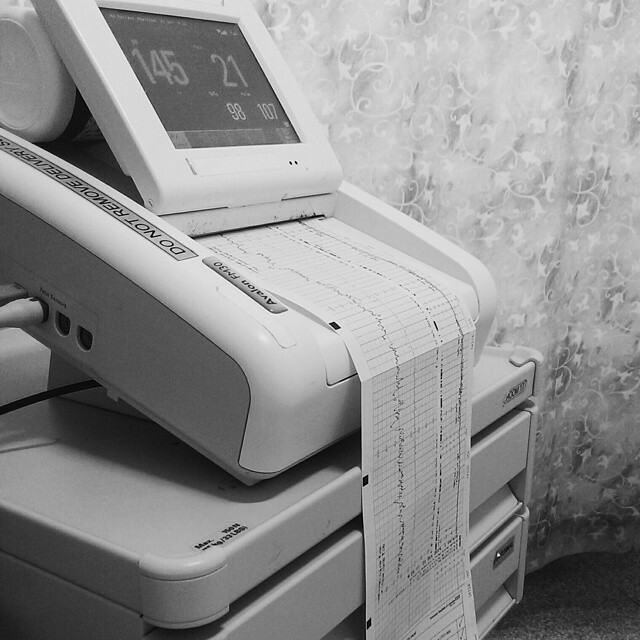 I had a blood test and they also did a 'normal' pregnancy test with a urine sample and after what felt like forever, we were called in to a little room where they gave us the news we had been waiting over 2 years for... I WAS PREGNANT! For the very first time in my life, I saw those two lines on a test. It was real! I squealed, burst in to tears and clutched at an emotional Danny. We couldn't believe it. All the tough times of the past few years, the emotional rollercoasters and physical challenges had paid off - it had worked!! We still had another 7 days to wait after this though until we could really trust the tests. My HCG levels on that Friday were 129 and first thing on the following Friday, the 25th April, we went back to the hospital for another blood test. We finally got the results that afternoon and my HCG levels had risen to a whopping 2123! 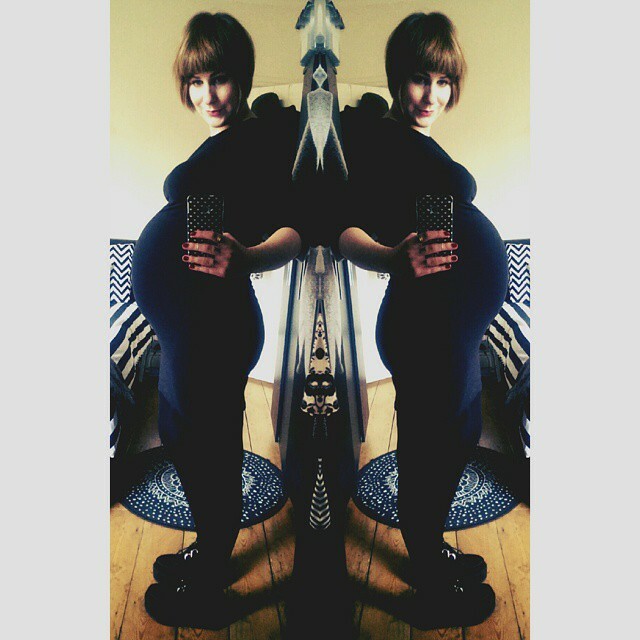 I was 100% pregnant and could put any thoughts of chemical and ectopic pregnancies right out of my head. We were having a baby! 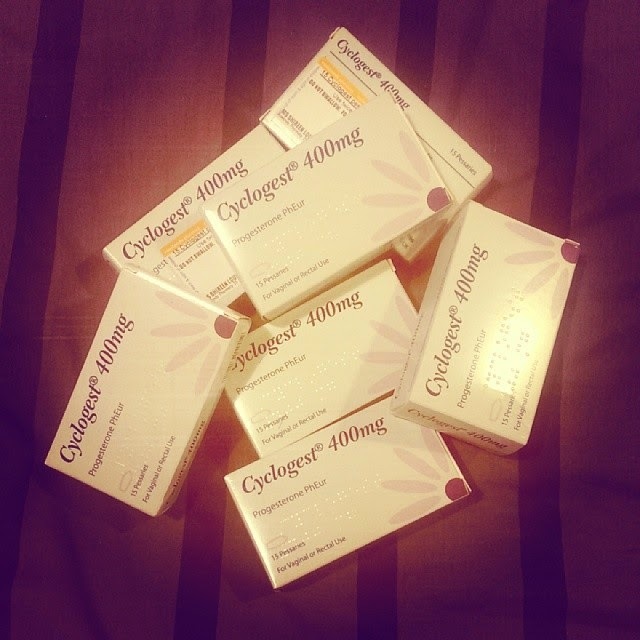 I had to continue using my lovely Cyclogest progesterone pessaries until I was at least 12 weeks pregnant. These were absolutely the most disgusting part of the whole process! I had to insert one pessary in the morning and one at night and they were vile! 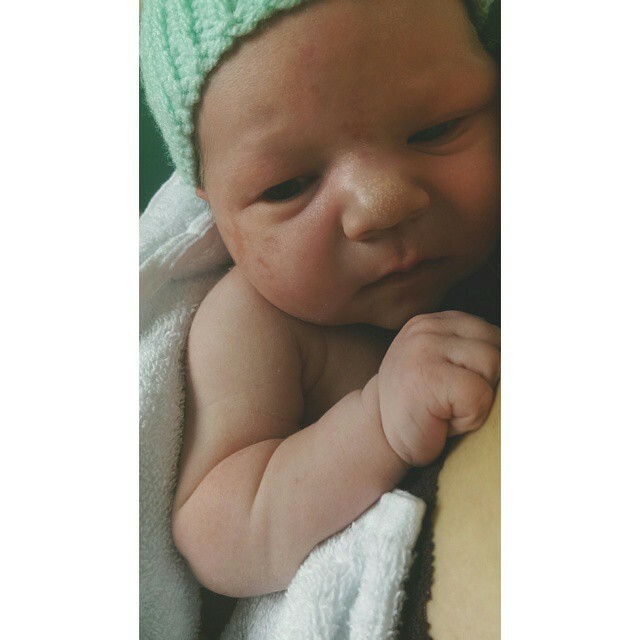 But they obviously did the job and thickened the lining of my womb up lovely because, well, Baby Blasto is here! During this time, my hormones started to run riot. A mixture of the IVF hormones wearing off, the challenge of trying to wean myself off all my antidepressants and painkillers, and a sudden influx of pregnancy hormones all mixed with general emotions left me a complete wreck! One minute I'd be on top of the world and the next I'd be struggling to stop the tears. 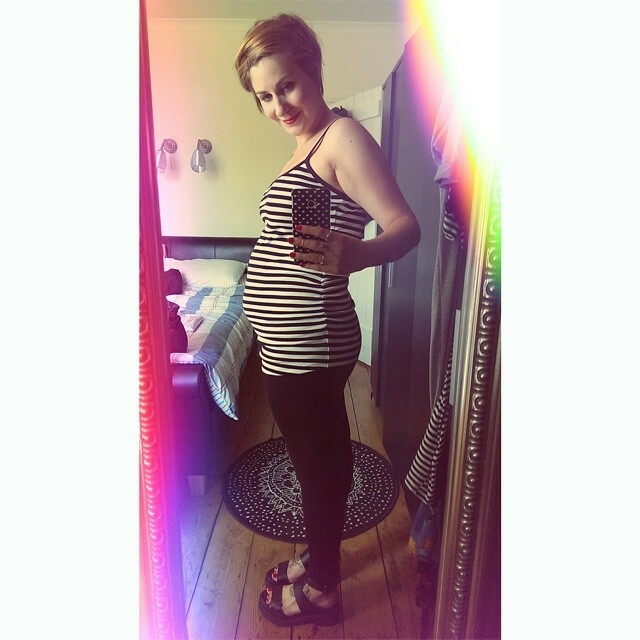 I'd also started to feel the effects of pregnancy fatigue and the dreaded morning sickness. 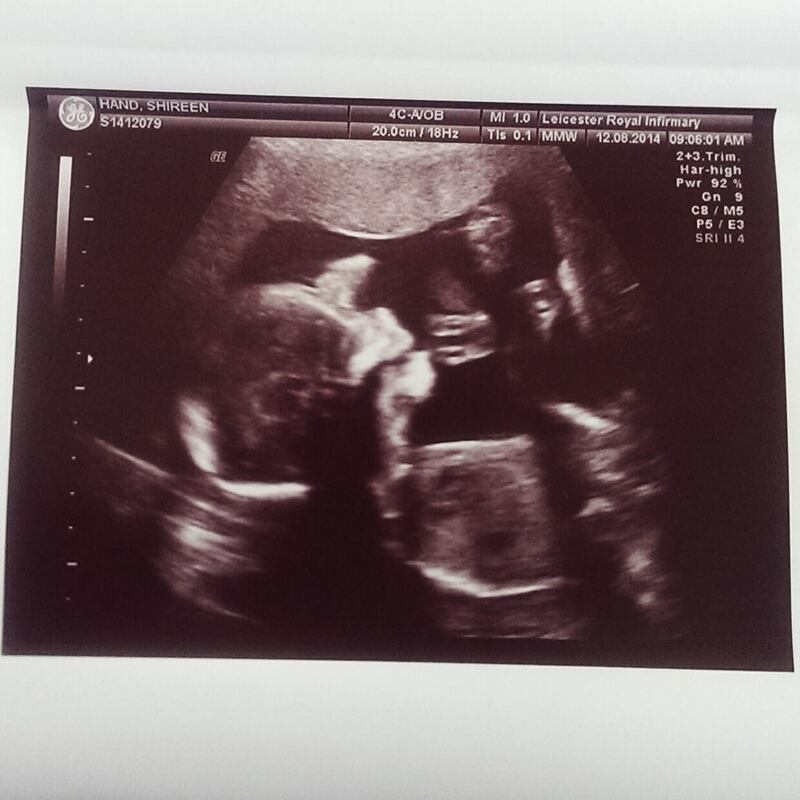 On Tuesday 6th May, we went back to the Fertility Centre for our first 'real' baby scan. The nurse reminded us that things could still happen but, on that day, everything looked perfect. We found out that I was 6 weeks + 1 day pregnant and the most important thing, that our baby was alive and healthy! The picture is a little hard to make out, but the black shape is the gestational sack, then in the middle of that, the little white blob - the right side is the yolk sack and the little bit sticking up on the left is our baby! We saw 'his' tiny little heart beating away and it was incredible. We were discharged from the centre after the scan and I was put in to the care of a community midwife as well as a specialist IMPACT clinic at the hospital which deals with twin and high risk pregnancies. The following weeks were really tough with the nausea and I lost around half a stone because I just couldn't face any food. After the scan, I also started to feel a lot of pain but as it coincided with me trying to come off my Tramadol (etc) there wasn't really anything I could do but wait and see - especially since I hadn't had any bleeding (which was obviously a good sign). The pain was so bad that it would have me doubled up and barely able to move and I got very stressed out and down about it. I was sure that we had lost Baby Blasto. It was an agonising wait. I spoke to my doctor regularly and she supported me fully every step of the way with the reduction in my medication and eventually I saw my midwife when I was 11 weeks pregnant - though she didn't really put me at ease because she didn't know anything about endometriosis! My pains eventually started to get a little easier and we finally had our follow up scan at 14 weeks. I was terrified that something would be wrong, that Baby Blasto would have disappeared. But there 'he' was, fast asleep on the screen, with 'his' little heart pumping away like crazy. No one will ever know the relief I felt. Blasto started moving at 15 weeks - only a few days after the scan. It really was magical to feel those tiny little 'popcorn' movements and I felt so much better about everything because every movement only confirmed that our baby was healthy and happy. I attended the IMPACT clinic every few months and found out that I would have to be induced if Blasto hadn't arrived by our due date. 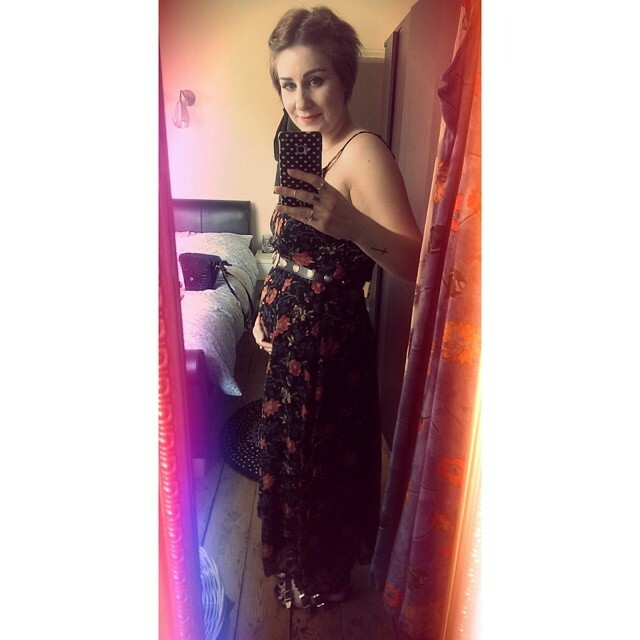 Everything seemed to be going smoothly, but at 19 weeks I started getting Braxton Hicks. They were really painful and made me feel completely exhausted with the constant tightening's. 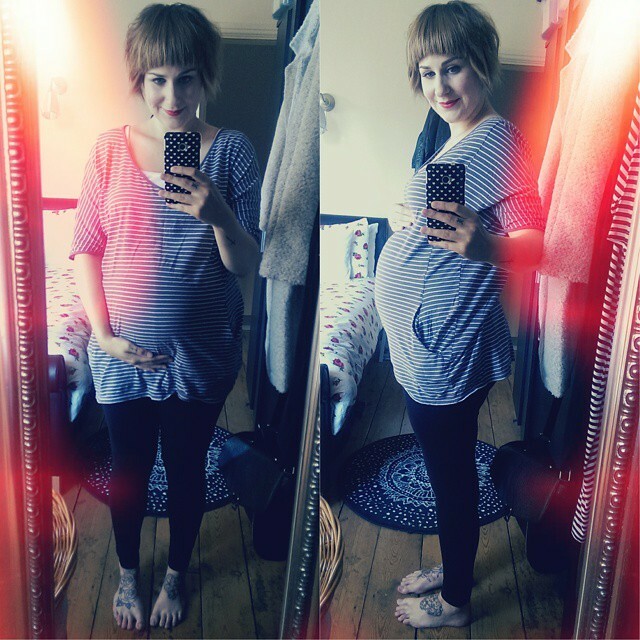 On 12th August we had our 20 week scan and we found out that Baby Blasto was a beautiful and very lively boy! Though the sonographer actually told us before we asked so it was a good job we wanted to know! The coming weeks were much easier. I didn't have much of a bump and I spent most of my time comparing it to other mamas-to-be bumps but I knew he was OK so deep down that's all that really mattered. 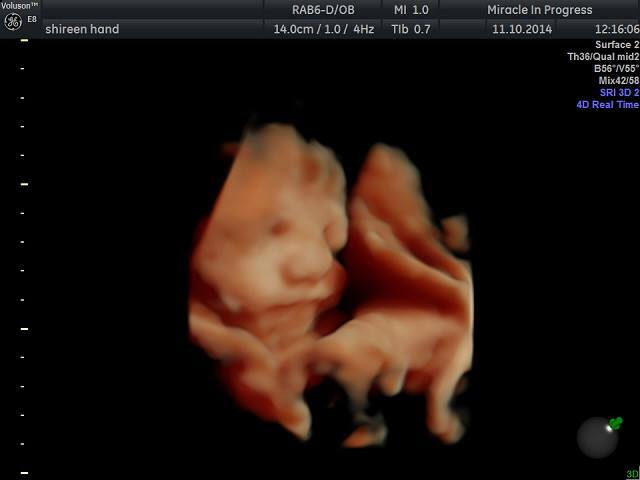 At 29 weeks we went for a HD Live Scan and saw our perfect little fella (yes, we did double check he was a he!) moving around. It was absolutely incredible. We were given scan photos and a DVD of the entire scan and we watched it almost nightly until his arrival! Unfortunately, I woke up early the next morning not feeling right. I couldn't really put my finger on what was wrong but I was in a lot of pain. I tried a warm bath, paracetamol, rest, moving around but nothing was easing it and in the early hours of the next morning Danny took me to the hospital. I was monitored for hours, scanned and swabbed and we were then told I had tested positive for pre-term labour. It was an odd moment really because we were both exhausted and it didn't really sink in until they told us that I had to stay in because our baby might arrive at any moment! They didn't have any beds available with the neonatal care the baby would need so I was transferred to Sheffield, 67 miles away. I was taken by ambulance with a midwife in case Blasto arrived mid-journey and I was incredibly anxious by the time we arrived. I had steroid injections to make Blasto's lungs strong, should he arrive, and was hooked up to various drips and monitors. I hadn't dilated at all so I was told it could be a false-positive and our baby was fine - even if I was in a lot of pain. 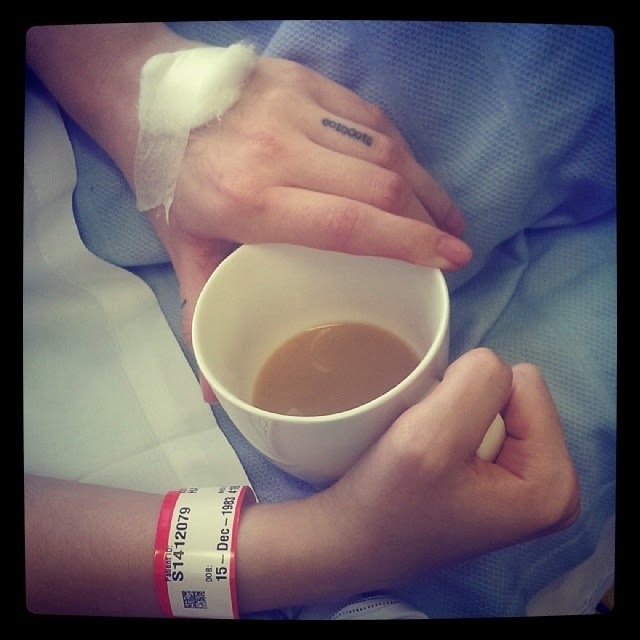 That night, with Danny sleeping on a mattress on the floor, I finished the drip that would try and hold labour at bay and I was moved to a private room (a perk of living so far away!) 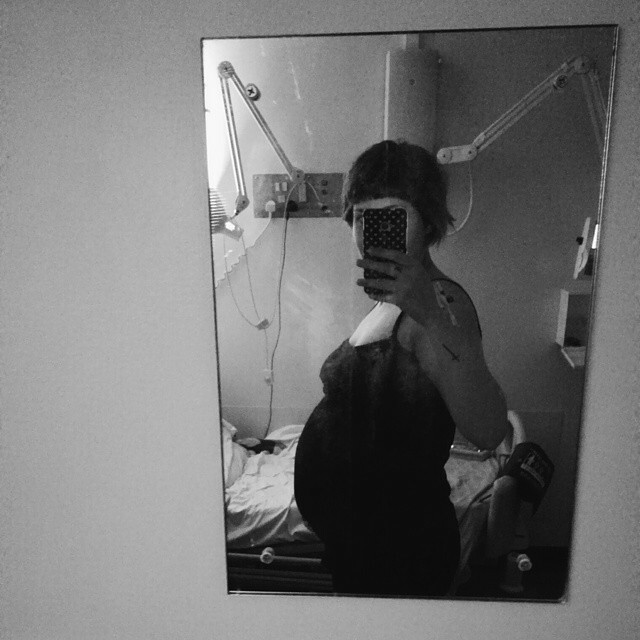 on an antenatal ward while we waited to see if anything happened. I stayed here for the next week, hooked up to drips and having all manner of examinations, tests, injections and scans. A research study we took part in showed that my fibronectin levels were negative - to test positive for pre-term labour these levels needed to be above 50 but mine were only at 3! 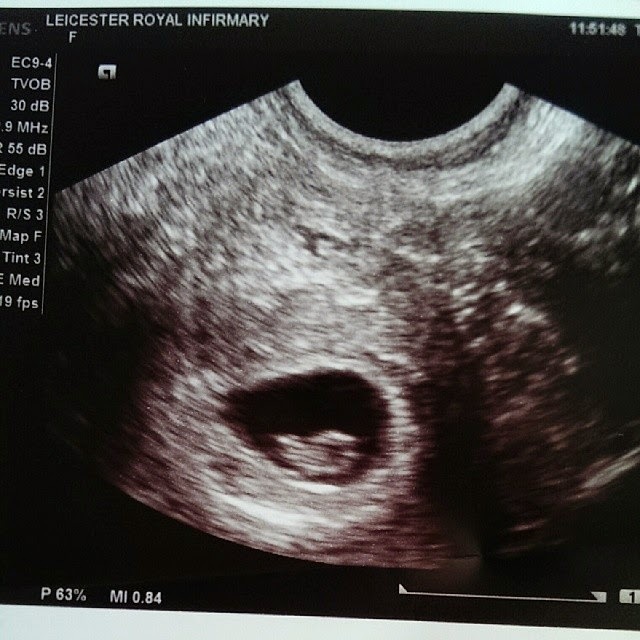 This along with my uterus showing no sign of opening was great news. They kept me in for further monitoring because I was still in pain and I felt like I'd really achieved something when I reached 30 weeks. Though this quickly turned to disappointment when I found out the pains and general icky feelings I was having were contractions and I hadn't even realised. I was put back under threatened pre-term labour again and monitored closely but I wasn't dilating and Blasto seemed happy where he was. This was the first time my endometriosis was mentioned as being the cause of my problems. I spoke to a midwife who had gone through something similar and she told me all about how endometriosis can 'irritate' the womb and cause such issues. Though, to be honest, no one seemed to know what the heck was going on! I needed to have a 24 hour period with no contractions before they would allow me to go home - however, they were coming in strong at 5 minute intervals and were starting to exhaust our little one. He was so sleepy that I had to have extra monitoring. A week later, still contracting and none the wiser as to why this was happening, I was allowed home. Probably only because I nagged at them so much to let me go though. I was told to take Co-codamol and to go straight back to hospital if anything else happened. I was over the moon to get back home. Unfortunately, the next morning, the contractions took a turn for the worse. My mum rushed over to be with me because I went straight in to panic mode. I tried to relax and took extra tablets at the doctors recommendations but the pain continued to increase and by early afternoon, I was screaming the house down. Mum called for an ambulance and I had to check if I could feel Blasto's head (which I couldn't). Danny was called home from work and arrived just as the paramedics came to take me back to hospital. The pain by this point was unbearable. I spent the rest of the day being monitored and scanned. At one point they thought my waters had broken - they hadn't, but I did start bleeding. I was taken to a ward, high on Entinox and painkillers, only to wake the next day feeling fine. I was incredibly frustrated. They decided to keep me in as I was still bleeding. A few days later, though I was still having tightenings, everything else settled and I persuaded them to let me go home. After two weeks in hospital, all I wanted was the comfort of my home and Danny. The doctors couldn't find any reasons for the pain and tightenings and it was blamed on my uterus being irritable due to my endometriosis. 3 days after being allowed out, I was back at hospital but this time it was for our final IMPACT clinic. I spoke to them about what had been happening but they didn't offer any further clarification on the situation. We were booked in for our induction on 23rd December and kept on the books in case of any problems. Over the next 7 weeks, I was in and out of hospital due to the pains. I was given some stronger painkillers to take alongside Paracetamol and these helped a lot but didn't stop the tightening's. By 35 weeks, Blasto was 4/5 engaged and by 36 weeks I was starting to lose my mucus plug. 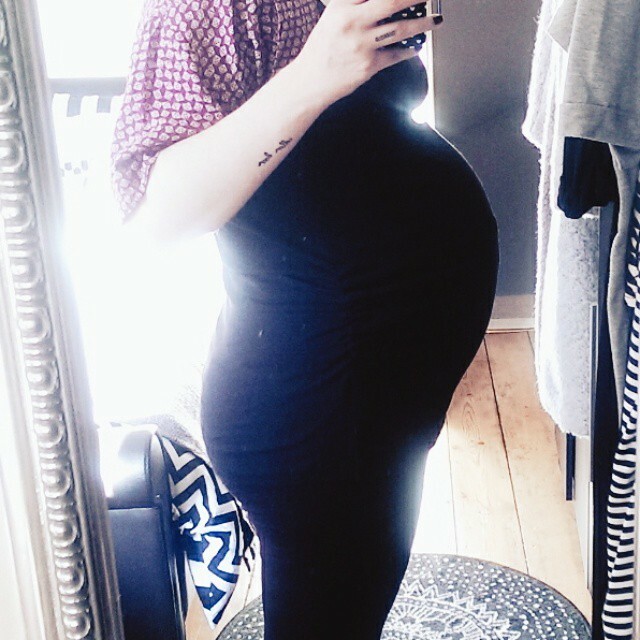 37 weeks came and went - Blasto was full term and not budging, and at 39 weeks, I went in to hospital to be induced. The day of the induction is a bit of a blur. I arrived at the induction suite by 9am and at midday they confirmed I was only a fingertip dilated. A pessary was inserted and I was taken down to the antenatal ward. The pessary started working straightaway and by 5pm the contractions were constant but irregular. I had a bath which didn't help at all and by 7pm the contractions were 2-3 minutes apart. The midwives couldn't do anything until I was 5cm dilated and they wouldn't examine me so I was stuck on paracetamol, panicking through every contraction with visiting time on the ward and Danny getting angry at me because I wasn't listening to him telling me how to breath. Eventually at 9pm they moved me to a side room, I had my TENS machine on and the midwives sat with me. I was already pushing and couldn't stop myself. Finally at 10pm they examined me and found I was 5cm dilated. I was moved to the delivery suite straight away and within minutes a loud pop echoed around the room and my waters broke - everywhere! It was like sitting in a swimming pool! My waters were black with menconium and they became concerned for Blasto. I was completely spaced out by this point and just remember the pain. I couldn't focus beyond it. Entinox wasn't working and with all the pushing I ended up tearing my cervix and was bleeding heavily. I was 7cm, labouring too quickly and I later found out that Blasto's heartbeat had dropped dangerously low and wasn't registering on the monitor. The anaesthetist finally arrived and administered an epidural, but within minutes it was taken out again and I was rushed in to theatre. They didn't have time to put me in a gown and all I really remember is asking repeatedly where Danny was as he had to get changed and was waiting to be allowed in to theatre. 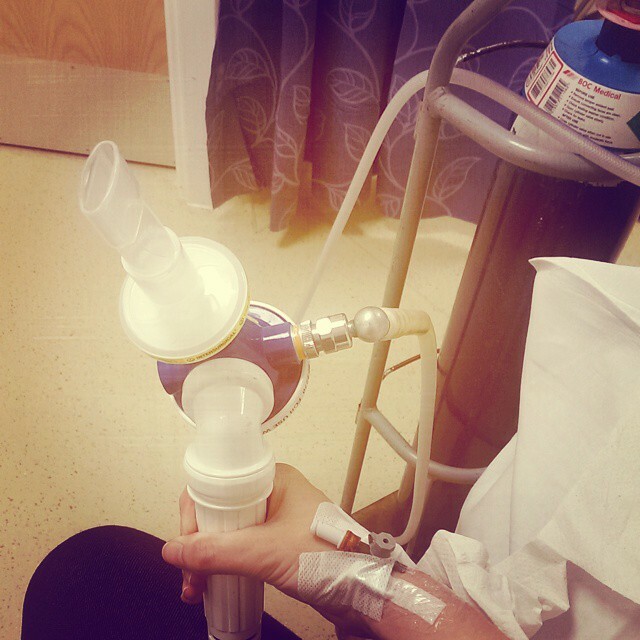 In the meantime I had tubes inserted and injections of all sorts and was strapped down to the table. The spinal block started working and a flood of cool water washed over me. Staring up at the theatre lights, I was in heaven. I had no pain. Danny came in and they cut me open. I felt a lot of pressure then heard the most wonderful, yet angry, cry. 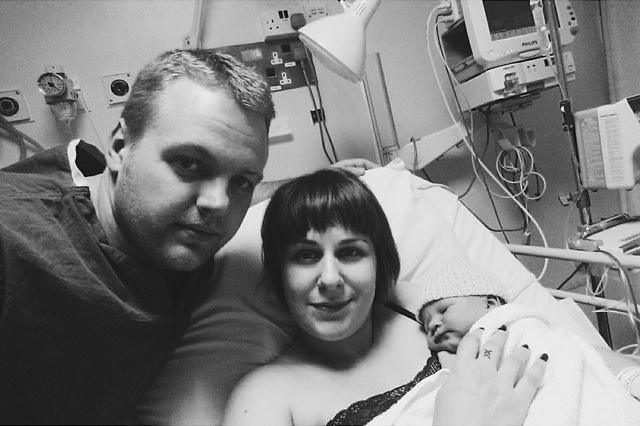 Hunter Ace Willoughby was born at 00:46 on Christmas Eve with his cord wrapped around his neck. He was rushed straight off to be checked and have his throat cleared of the menconium. And then I met him. All 7lb 1oz of him. Danny held him near me but I was still strapped down and unable to touch him. Danny took him in to recovery while I was stitched up and then I was wheeled away too. I finally held him and I couldn't believe how perfect he was. It didn't feel real. I found the pregnancy and birth very hard to deal with afterwards and for quite some time I vowed I never wanted any more children. Still now, I look back at our birth and wonder if the pains I felt were the same as every mother feels during labour. Were they more intense or did I just lose all control? I try not to be hard on myself, after all we went through to get our little boy, all the embarrassing treatments and invasive procedures, the counselling and the months of pain, but it's hard not to feel disappointed in yourself when you didn't have the perfect vaginal birth - you know, the ones with no pain relief, with angels singing lullabies in your candlelit room while you are fed grapes. OK, OK, I embellished a bit there but that's how I imagine every one else's births to be, while I'm over here screaming and flooding the room with my pooey waters! I would love to go back and just focus, focus on our baby instead of the pain. But, I can't change anything now. All I can focus on now is how incredible our little one is. I would go through it all a million and one times to get Hunter. Our tiny miracle and the absolute love of our lives. What an incredibly hard journey you've been through, with such a beautiful result though. Your little boy is just gorgeous. 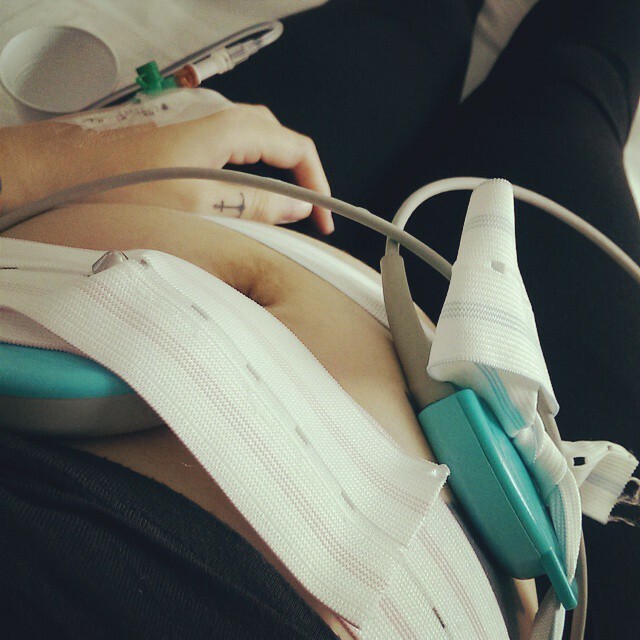 I didn't have endometriosis and was also lucky to have a smooth pregnancy, but I ended up having an emergency c-sec under general anaesthetic as my baby's heartbeat also dropped off. I found this incredibly hard to deal with, my first day of being a mummy I was struggling to come round and couldn't remember anything. My husband wasn't allowed in the theatre either as it was general. My HV arranged for me to have a debrief with my consultant about 3 months later as I was still struggling and dwelling on the birth. This really helped me understand what happened and fill in lot of blanks, and helped me come to terms with a birth I had not anticipated (like you I'd dreamed of that perfect vaginal birth!). If you feel a debrief would benefit you, don't be afraid to ask. Many of my friends who would have benefitted from it due to complicated births didn't know it was available.